It’s fall again—that time of year when the days shorten, the air turns crisp (at least in New England), and a young researcher’s mind turns to two things: 1) pumpkin beer, and 2) the Bay Area edition of the annual Quantified Self conference (which now goes by Quantified Self Global). If that’s not where your mind turns, I guess that’s understandable: pumpkin beer isn’t for everyone, and this is only the second time Quantified Self Global has happened in the fall; QS2011, the very first Quantified Self conference, happened in the spring. Be that as it may, I’ve been thinking about QS13 for a while now, and—since I just realized I get on a plane to California a week from Monday—I thought I’d write about it. More specifically, I’m going to revisit my wrap-up post from Quantified Self Europe 2013 (QSEU13) last May, wander through some musings on individualism and Bay Area culture, consider some recent developments in the Boston QS community, and end with some speculation about what I might find in San Francisco next month. I didn’t hear the term “compliance” even once at Quantified Self Europe 2013, whereas I’d heard it a lot at Quantified Self Global 2011 (but not so much at Quantified Self Global 2012). Could it be, I wondered, that quantrepreneur interest in Quantified Self might be starting to wane? Might the very technoutopian neoliberal individualism that’s endemic to the Greater Bay Area—and which, as such, informs both Quantified Self and Silicon Valley start-up culture—actually be working to thwart corporate efforts to commodify self-tracking through the Quantified Self community? To explain that question, let’s back up and unpack a little. As Fred Turner brilliantly traces out in his book From Counterculture to Cyberculture: Stewart Brand, the Whole Earth Network, and the Rise of Digital Utopianism, present-day technoutopianism (or digital utopianism) has significant roots in a specific strain of 1960s counterculture that Turner terms new communalism. The New Communalists distrusted traditional institutions and authority, and embraced a frontier mentality (often by taking to ‘the frontier’ itself). When new communalism, the Homebrew Computer Club, and a rising tide of deregulation (to name just a few of many critical factors; see book) all collided up and down the San Francisco Bay in the 1980s, the resultant ideology (unsurprisingly) held that a combination of individuals (unhindered by tradition), private industry (unhindered by government interference), and technological innovation would ultimately be the key to solving the world’s problems. Today, this ideology is a key piece of undergirding for Silicon Valley startup culture (and accordingly, startup culture generally). Adler’s idea that we can — and should — defend ourselves against the imposed generalities of official knowledge is typical of pioneering self-trackers, and it shows how closely the dream of a quantified self resembles therapeutic ideas of self-actualization, even as its methods are startlingly different. Trackers focused on their health want to ensure that their medical practitioners don’t miss the particulars of their condition; trackers who record their mental states are often trying to find their own way to personal fulfillment amid the seductions of marketing and the errors of common opinion; fitness trackers are trying to tune their training regimes to their own body types and competitive goals, but they are also looking to understand their strengths and weaknesses, to uncover potential they didn’t know they had. As I’ve stated before in somewhat different terms, the “self” (or, more accurately, the concept of a “self”) is at the core of Quantified Self, moreso than is “quantification”; self-knowledge, self-discovery, self-determination, and self-empowerment (etcetera) are all central to QS culture and the QS ethos. 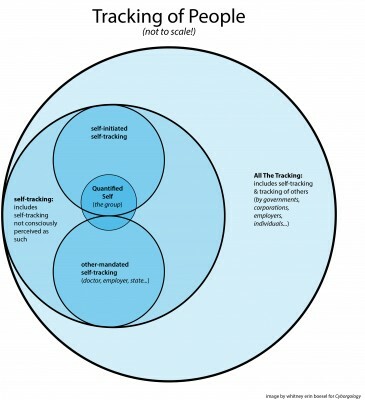 Although both what, exactly, the implied “self” of Quantified Self is—as well as how it comes into being—are highly variable across different QS practices and subgroups, one thing remains remarkably consistent: the implied or imagined “self” of Quantified Self is almost always an individual self, an independent and autonomous self. I believe this emphasis on an independent, autonomous, individual self is in large part responsible both for Quantified Self’s “big tent” policy and for the attendant variety of interests and practices represented at the QS conferences. 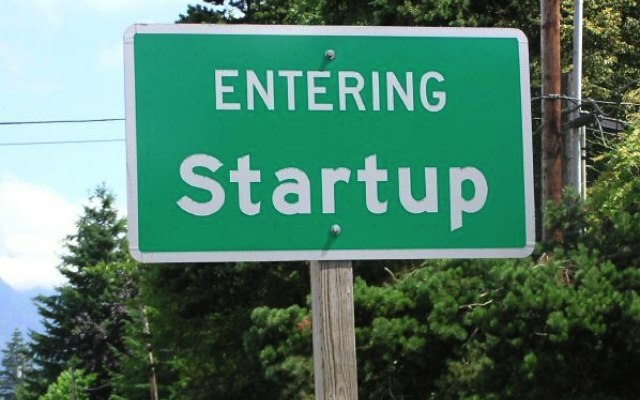 It is also, however, where things start to get interesting when we consider the quantrepreneurs. So why is the individualism of Quantified Self tricky for quantrepreneurs? After all, technoutopian neoliberal individualism brings us both Bay Area startup culture and Quantified Self; both the action of striking out alone to pursue self-knowledge (with some gadgets and some shared knowledge and a community of like-minded others) and the action of striking out alone to start your own company (with some cofounders and some venture capitalists and maybe some employees) are pretty Autonomous Individual™ things to do. So entrepreneurialism and Quantified Self should go hand in hand (or hand in gadget), right? Yet as a quantrepreneur, there’s only so much marketing you can do before your (self-)marketing becomes telling someone else what to do, casting yourself as some kind of authority, or in some other way running afoul of someone else’s individual autonomy. Share your own success story, and QSers will listen; offer an app or a device, and QSers who think it might be useful will probably go out and try it (and, especially if they’re happy with it, tell all their friends). But if you come on too strong in your sales pitch (especially during a Show & Tell session), some QSers will be turned off; try to force anything down anyone else’s throat—especially if you haven’t so much as sampled that Kool-Aid yourself—and you’ll probably just be ignored. People may attend Quantified Self events to share ideas, to problem-solve, to learn from peers, to network, or even to make friends, but no one attends a Quantified Self event to be told what to do. Quantified Self and Silicon Valley entrepreneurialism may be products of similar social forces, but poorly-played quantrepreneurialism is the ‘double negative’ of individualism; it cancels itself out. The underlying logic here seems to be that, if there’s a group of people who are voluntarily doing (self-directed) self-tracking, it should be a piece of cake to extrapolate from that phenomenon into getting the General Populace self-tracking in the service of their physicians and HMOs. That logic, however, utterly fails to grasp the ideological frameworks that inform Quantified Self practices (to say nothing of the degree of societal privilege enjoyed by the average QSer). You can “gamify” apps and “incentivize” patients all you want, and certainly doing so will draw in some patients or insurance subscribers (at least for a time). At the time of writing, however, I remain convinced that attempts to translate the largely self-directed self-tracking practices of Quantified Self into other-mandated self-tracking compliance tools will ultimately prove futile, because such attempts fail to take into account the personal, cultural, and structural reasons that self-directed self-trackers track in the first place. We can argue all day about whether it’s possible to destroy the master’s house with the master’s tools, but I’m reasonably certain that—if you’ve got someone chipping away at your house with a pickaxe—making your own brand of pickaxes and then handing them out to passers-by is not, in fact, going to repair your retaining wall. To recap: we’ve established what a “quantrepreneur” is, and that the quantrepreneurial presence at Quantified Self Europe 2013 was much less pronounced than at Quantified Self Global 2011 or 2012. We’ve also established that I encountered fewer medical quantrepreneurs at Quantified Self Europe 2013 than I did at Quantified Self Global 2012, and fewer at Quantified Self Global 2012 than I did at Quantified Self Global 2011. What I didn’t know last spring, however, was what percentage of these differences I should ascribe to the “2013-ness” of Quantified Self Europe 2013 (aka, to ongoing change in Quantified Self as the group continues to grow) and what percentage I should ascribe to the “Europe-ness” of Quantified Self Europe 2013 (especially the fact that most of Europe has nationalized healthcare). Both back in May and now, in late September, I’m looking forward to Quantified Self Global 2013 as my next point for large-scale comparison—but some interesting things have happened in the meantime, too. Luckily, I’d attended “The Quantified Patient” with two other social scientists, and so got to spend the ride home debriefing with like-minded folks about my unexpected trip to the Quantified Twilight Zone. It had been a while since I’d encountered straight-up “how do WE get THEM to start tracking,” and—though my observational acuity at Quantified Self Global 2013 will be the better for having had the experience—I definitely hadn’t gone into “The Quantified Patient” ready for the discomfort that comes from lurking among privileged people who are unselfconsciously making disparaging remarks about less powerful others. If I’d somehow managed to attend while dead, I’d have been turning in my grave. It has been an amazing year since I stepped into the role of lead organizer for the Boston Quantified Self group. In that time we have seen the group over double in size, adding 700+ new members. Through the hard work of our dedicated team of organizers we have continued the tradition started by co-founder Gary Wolf and the Bay Area QS group of holding “show&tells” where members can share their personal self-tracking stories, while also creating new event formats to serve the needs of our growing community. With events including our Health & Wellness Innovation Night, The Quantified Patient, Women’s Health event, and our Ideas to Action series we have been able to partner with amazing organizations including IDEO, athenahealth, Withings, Harvard i-lab, Bodymedia, SyncStrength, Neumitra, TeloMe, Segterra, Ovuline, MIT Media Lab, meQuilibrium, Ubiqi Health, RestWise, FitLinxx, Rest Devices, Partners Healthcare, Eliza Corporation, Ginger.io and Endeavour Partners to bring the Boston QS community exciting events featuring world-class speakers and innovators. Due to this growth and expansion into additional areas of focus I have decided, in collaboration with Gary Wolf the co-founder of Quantified Self, to create the Self-Tracking group. The Self-Tracking group will be the connection point for industry professionals, researchers and users who are part of the emerging self-tracking ecosystem. This will allow the Boston Quantified Self group to remain focused solely on traditional show&tells while the Self-Tracking group focuses on events like the Health & Wellness Innovation Night, The Quantified Patient, Women’s Health event, and our Ideas to Action series. At first, I wasn’t entirely sure what this meant—what, exactly, is “the emerging self-tracking ecosystem”? It took a second read-through, but I’m reasonably certain that what just happened is this: quantrepreneurialism has spun off into its own group, a group that is closely related to—but ultimately separate from—the Boston Quantified Self meetup group. Confusingly, this means that “Boston Quantified Self” will be the place where people present their self-tracking projects (which may or may not involve any degree of quantification), while “the Self-Tracking group” will house quantrepreneurial efforts and networking events (which may or may not be about ‘us’ getting ‘them’ to track). I anticipate a fair amount of overlap between the two groups, and that some people will both present their personal self-tracking projects at Boston Quantified Self and promote their tracking-related startups at the Self-Tracking group. Still, it will be interesting to see how the Boston Quantified Self meetups change following this split (if at all), as well as whether Quantified Self meetup groups in other cities end up following suit. Third, and finally, is a development that’s less directly related to quantrepreneurialism, but of particular interest to me personally: the formation of QSXX (Quantified Self Women’s Meetup, in the Bay Area) last July, and QSXX Boston in response last August. Apparently I’m not the only woman who spends time in the QS milieu, but who can barely imagine presenting her own self-tracking projects; though I’m enough of a sociologist to know that none of us is really as unique as all that, I’m also enough of a squishy human to feel weirdly validated when I discover experiential overlap with others. Although I wasn’t able to attend the first QSXX Boston meeting, I did attend the second one earlier this week—and was fascinated to find that our small group was a little under half “women fairly involved in Quantified Self,” and a little over half “women who have never been to a Quantified Self event”; we had no “regular” QSers at all. I’m told the two QSXX groups will be the topic of a breakout session at Quantified Self Global 2013, and I’m really interested to see how that discussion goes (for a whole host of reasons); I’m also eager to see whether more QSXX groups form in other cities. In conclusion, Quantified Self has a “big tent” policy, and Quantified Self has continued to grow—but it’s starting to look as though the future of Quantified Self might involve buying more tents and starting an encampment, rather than attempting to make the existing tent even bigger. In two cities, QS women are meeting in groups of their own; in at least one city, quantrepreneurs are taking their more overt quantrepreneuriations to a separate stage; I thought the medical quantrepreneurs had gotten bored and wandered away, but apparently they’re still here (and just spending less time with the rest of the group? ); every now and again I hear quiet murmurs—and not-so-quiet murmurs, as in my QSEU13 breakout session—of experimental self-trackers who want to split off and escape self-trackers who are “merely” life-logging. Both at Quantified Self Global 2013 and subsequently, I’ll be interested to see whether people who believe Quantified Self is “a movement” have a different take on the Self-Tracking and QSXX groups than do others who see Quantified Self as a group, trend, or hobby; I’m also interested to see whether any kind of stratification develops, either between Quantified Self and its related offshoots, or within Quantified Self itself. Whitney Erin Boesel tends to livetweet conferences (like #qs13); she sometimes livetweets other things, too, even if she has to make up her own hashtag (like at #qspatient). Share the (mis)adventures by following her: she’s @weboesel. Silicon Valley film logo from here; tent image from here. I read this with interest and can answer one question posed in it. I'm the founder of Quantified Self, and I have personal contact with many of the organizers. After much conversation, Joshua Kotfila, an organizer of the Boston Quantified Self group, and I decided together that it made sense for him to split off his own group. I think Joshua and I could both see that the show&tell format, with its questions designed to support first person testimony ("what did you do, how did you do it, what did you learn? "), are not easily reconcilable with a broader industry focus. So, while there was obviously great interest in an industry-focused group, I wasn't keen on this going under the name Quantified Self. And though my influence over what QS means is shrinking steadily, I remain an "interested party," and always willing to argue that the first person focus remains important. I was grateful that Joshua listened intelligently to my arguments, and took the chance to lead a group of his own. I suspect that if Quantified Self continues to mainly be about self-knowledge through numbers, rather than a synonym for what Joshua calls the self-tracking ecosystem, will depend on large number of such arguments, most of which I won't hear and can't influence. So I read this post with great interest, feeling that I was listening in! I'm pretty new to the whole QS thing, having only attended 2 or 3 events before the "Quantified Patient" meet up. However, I had a much different take on it: (probably naively) I didn't think of it as being so much around trying increase authority over those rejecting it, but looking for ways to use QS techniques to provide affordances to those who are having difficulty complying with the regimens that they themselves consider beneficial, e.g., "did you take your medications? ", "did you remember to eat" etc.. I wouldn't claim all the attendees/speakers had this motivation, but I thought it clear that some did.